New Contributors and a New (Old) Feature at Adventures In YA Publishing! 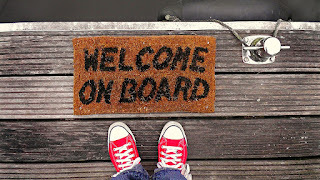 0 New Contributors and a New (Old) Feature at Adventures In YA Publishing! Please give them a HUGE welcome. We're thrilled to have them! Kelly will be joining us to take over coordinating our inspirational WOW Wednesday posts from the fabulous Michelle Taylor, whose schedule, unfortunately, has become too busy to continue. We're going to miss Michelle, but hopefully she'll be back occasionally to catch us up on what she's up to! Catch up with Kelly on her website, Insanity.Today. And if you good news about representation, a book deal, or anything else writing related, or if you have an inspirational message you'd like to share with YA writers or readers, contact Kelly via ayaplit (at) gmail (dot) com. Lori Ann Palma is a contemporary YA writer currently seeking representation for her latest manuscript. She has a featured YA short story available for reading on Lunch Ticket, and also contributes regularly to Eastern Penn Points, the official blog of the Eastern Pennsylvania SCBWI chapter. I'm so excited to announce that Lori will be restarting our popular "THIS WEEK FOR WRITERS" Sunday morning news links, with a snapshot of what’s going on in the writing world across the blogosphere, with a particular emphasis on Young Adult fiction. From great posts on writing craft and inspirational pep talks, to author and agent interviews, and great articles to answer those tough query and marketing questions, Lori will ensure this regular new installment of links will offer up exactly what everyone needs to meet their writing goals. Not a writer? Lori will also be bringing back the Books and Giveaways features, rounding up all the bookish news and giveaways of the most popular titles out there! If you have a post you'd like to have included in the round-up, contact Lori at ayaplit (at) gmail (dot) com. You can also connect with her on Twitter at @LAnnPalma, or visit her at www.lapalmawrites.wordpress.com.